Interested in a new Samsung digital camera but don’t want one with a smartphone attached? No worries, as the Korean tech giant is preparing to unveil such a device at their June 20 press event in London according to CEO JK Shin as reported by the Korea Times. The mirrorless shooter could be called the Galaxy Camera 2 or perhaps the Galaxy NX and will be a follow-up to the original Android-powered Galaxy Camera that debut late last year. As you may or may not know, Samsung already sells a line of mirrorless cameras (sans Android) under the NX branding, so merging the Galaxy line with the NX line does make sense. A camera described as “mirrorless” usually just means that it features interchangeable lenses, similar to how a full-size DSLR works, but in a smaller package. The correct description of such a camera, however, is one that doesn’t have a mirror-based optical viewfinder. These shooters typically use an LCD screen to display what would normally be seen in the viewfinder. Alternately, some cameras allow for the addition of an add-on accessory known as an EVF, or electronic viewfinder. 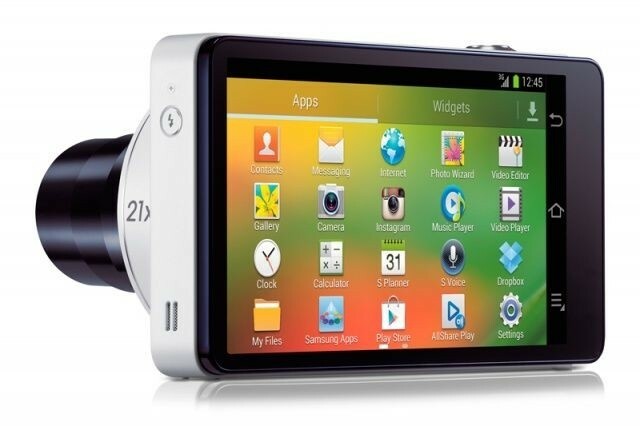 We don’t know much else about the Galaxy Camera successor at this time although SamMobile believes the device could cost upwards of $1,300. Considering the original sells for around $450 and you can get a quality mirrorless camera starting around $500, the Galaxy NX could be a tough sell at that price point unless it carries some premium features and an impressive image sensor.